Bradenton is just a few minutes drive away from the flourishing city of Sarasota with the fantastic climate. You will find sunshine round the year. 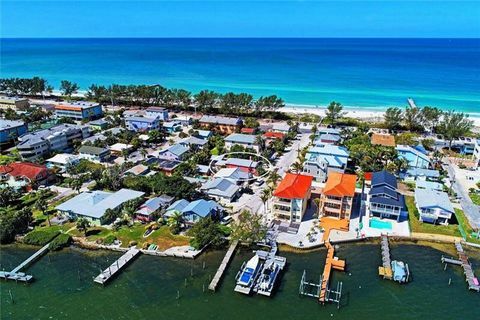 It is located on the north end of Florida and known as the leading hub for the nature lovers, boating enthusiasts, and beach gear. In Bradenton, the downtown area of Bradenton is renowned for its cultural scenario and lot of historic building. Not only this, Bradenton holds artistic attractions and recreational activities for visitors and local as well. The Robinson Preserve in Bradenton is a fantastic place to visit. The Natural Resources Department maintains it. It offers a wide range of educational and recreational activities for nature lover and outdoor activities lovers of all ages. You can enjoy a different kind of bird in the afternoon, or you can also choose horseback riding. There is also a fantastic attraction for the botanist; they can watch out the native plants, wildlife along the Gulf Coast and coastal habitats. The Robinson Preserve opens daily (Seven days a week) at sharp 8 am and closes at sunset. You can enjoy a full day hiking tour and go on an exploration tour along the ecosystems of De Soto National Memorial Park in Bradenton Florida. It’s one of most famous among the visitors. There is a lot of stuff to learn about the rich history and the heritage. This park holds the living history Camp Uzita, small beaches and the Cove. You can also enjoy boat rides there. Manatee Village Historical Park is full of manatee history; you can know more about the history of Manatee County efficiently. There are a lot of photographs, artifacts of Manatee County over the decades and has managed to stay famous among all the museums present in Florida. You can enjoy your visit here because of special exhibits like live performances. These performances are full of the story of life in Manatee County of the annual Heritage Days. Palma Sola Botanical Garden is one of the best places to visit in Bradenton. You can Spend your afternoon in the grounds of Palma Sola Botanical Garden can be excited. It holds 10-acre land in the northwest Bradenton and home to a vast selection of palms, fruits, flowering trees and subtropical plants. There are peaceful gardens holds three large lakes, where you can relax and enjoy the scenic views. South Florida Museum is the most extensive cultural history and natural museum. It is located on the Gulf Coast of Bradenton. This excellent museum accommodates fossils of mammals and marine lives discovered in Florida. This museum is full of historical knowledge and the best place for kids and history lovers. Plan your tour to Bradenton with your kids and let us drive you there. Don’t forget to follow us on Facebook!